This article is brought to you by WDWMAGIC Sponsor and Disney Vacation Club specialist Nick Cotton of DVC Resale Market. Unfortunately, the timeshare resale industry has no shortage of scammers and unreputable brokers. But even among reputable brokers there are still warning signs that should give buyers and sellers pause that they may not be working with their best option. Perhaps they have no accreditation at all or they have complaints against their company. While having a BBB accreditation does not assure you of high ethical standards it does show a willingness to be evaluated by an external body to determine if applicable standards are met. If a company has complaints that have been filed with the BBB, it is important to see how they responded and what their resolution was. When a company is just starting perhaps a home office is necessary as all companies have to start somewhere. However, once a company has been in business for more than two years and are still working from the kitchen table it should give the consumer pause. As a client you may ask yourself, is this company struggling to stay in business or just doesn’t want to spend the money to provide a professional setting for their clients to meet in person? If you are unsure if they have a commercial office, simply perform a “Google search” of the address provided on their website. If their website doesn’t include a physical address, you should have major cause for concern. Although, in the Disney Vacation Club resale industry customers are from all over the United States and many different countries, many of them still like to stop by for a face to face interaction, especially if they are local or visiting the number one tourist destination in the world, the Walt Disney World Resort! Does the brokerage display on their website what the closing costs are? Does the brokerage display what the annual dues are and the expectation of how the dues are to be paid? While both closing costs and annual dues can be negotiated, certainly as the buyer you want to know the costs and expectations prior to making your offer. Some brokers may try to win sellers on commission only. However, often times the seller doesn’t realize they end up costing themselves much more. The top 2 search results on Google garner nearly half of the clicks (roughly 33% for the number 1 spot and 16% for the number 2 spot). So, if your broker’s website is not ranking in the top 2 for keyword searches related to DVC resale, you are already missing out on half of the potential audience. This would be like comparing a store front next to the food court in the best mall in town versus a store front in an abandoned strip mall on the edge of town. Positioning on Google is critical to reaching your audience, and the smaller the audience, the slower the time to sell and the opportunity for a stronger selling price. Additionally, if the timeshare resale company is trying to win on price alone, what gets sacrificed? How much do they spend on marketing to ensure your contract is seen by masses in the right audience? Do they have an administration department to see your purchase or sale through smoothly? If they are lightly staffed as a result of trying to save money, you may notice this right away with delayed responses to a request to sell or even an offer. If you are a seller and they take long to respond to your request to sell, why would it be any different for an offer they get from a buyer. Additionally, with a delayed response in a competitive market the buyer may simply move on to a listing with another company. In the end, a company can charge a 0% commission, but if they don’t sell it, it doesn’t matter. Prior to 2006, the telesales department at Disney Vacation Club was closed on Sundays. However, seeing the amount of business the Disney Reservation Center was doing on Sundays encouraged them to open on Sundays and they’ve never looked back. In the DVC resale business, just as many sales can happen on a Saturday or Sunday, if not more, than any day during the week. If you are selling a contract with a broker not staffing sales agents during the weekend, you are missing out. As the old saying goes if something sounds to good to be true, it probably is. Beware of brokers stating things such as their Disney buyback rate through right of first refusal (ROFR) is virtually 0% and alluding to claims that the developer favors them as a reason for such. Disney is a publicly traded company, and as such, will act in the most financially responsible way to its stockholders. This means they will look at their bottom line when considering which contracts to buy back. Another statement you may see is Brokers claiming to be open 24/7, 365 days a year and yet have one or two agents. This would lead to an impossible group of assumptions that the agents never sleep, never vacation and are never sick. While it is illegal in Florida for a Broker to charge upfront fees to sell your timeshare, it is permissible for a marketing company that is linked to the brokerage to charge an upfront listing fee. Sure, this is technically legal, however it is completely unnecessary and could result in a seller being out of pocket money without ever having sold their DVC contract. Sometimes these fees are referred to as “administration fees”. The brokers compensation typically comes from sales commission. Charging additional fees is another way of increasing commission without saying it. Obviously, this directly cost the buyer more, but could also cost the seller more. When buyers take the administration fee into account for their bottom line they may reduce what they are willing to pay for a contract and the seller is at a loss. At one time, it was law for timeshare resale brokers to provide a two year history of the number of contracts they listed and the number of contracts they sold within the preceding two years. This was a fraud protection measure to help consumers. Although, it may no longer be law, it should be a very important statistic for consumers to be aware of from the broker they are doing business with. Especially if you are a seller, you want to know in recent history, how successful is this brokerage firm at doing what you’ve hired them to do. For example, although highly rare what if there are 50 points missing from the current point availability after a contract is closed and finally transferred? Again, this is highly, highly unlikely as it is checked by the brokerage firm when listed and checked by Disney twice, once during the right of first refusal period and again during final transfer. However, all of these verifications are manual, and even when triple checking a mistake although highly rare, can happen. As a consumer this makes it very important to deal with a brokerage firm that is capable of correcting a mistake such as this, because if it happens to you it won’t matter how rare it is, the fact that it has happened to you is all that matters. Is the brokerage company you are dealing with capable and willing to compensate you as the buyer in this situation or a situation like it? We have seen listing contracts that lock sellers in to agreements for as long as 6 months that require the seller to pay a full commission even if that brokerage firm doesn’t sell the contract or they want to remove it within the 6 month period. Always be cautious of a fee to be paid for work that may never be performed. You can know a little about a lot or know a lot about a little (i.e., “Jack of all trades, Master of none”). Each timeshare can be very different and renting versus brokering DVC can be very different. When a company is trying to sell multiple different timeshares it would be akin to a used car lot also selling lawnmowers and boats. Yes, they all have engines, but they are very different. In the world of timeshare, almost every developer has a very unique system. One system may be based in weeks, while another may be based in points. When talking about different timeshares the terms, resorts and acronyms used can be so different, it is almost like speaking an entirely different language. And Disney is no exception, certainly the Disney brand and Disney Vacation Club are extremely unique. Is the company you are working with the best DVC expert, or are they just selling timeshare? 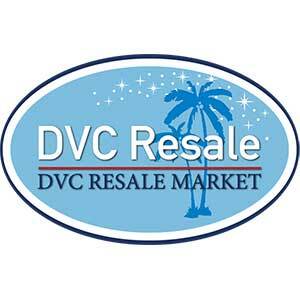 DVC Resale Market is the leader in the DVC resale industry with 10 former Disney Vacation Club Guides and a former Disney Vacation Club Quality Assurance Manager.